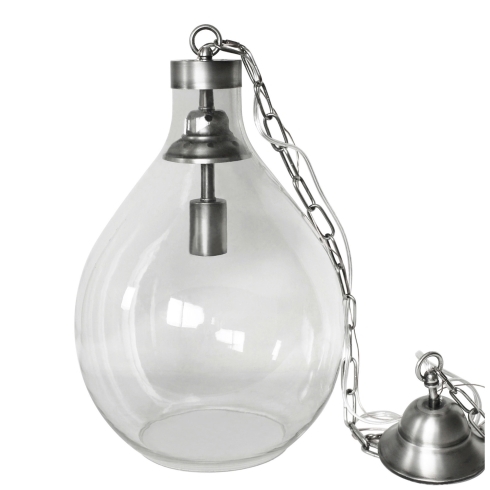 Demijohn Pendant Light, med. - White x White - Antique and Fine Decor for the Home. Pendant light made by skilled artisans of free-blown glass replicating a vintner's bottle. Antique nickel finish metal ceiling canopy and fittings. UL listed, hardwire, max 100 W bulb. 59" metal chain and 80" clear electrical wire included.